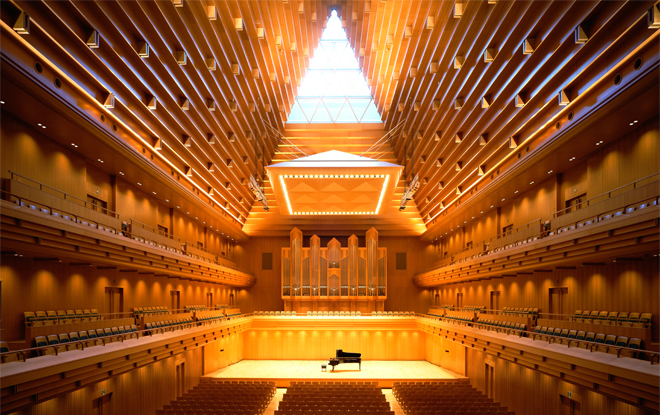 A concert hall located within the Tokyo Opera City, a cultural arts complex that houses a range of facilities, including restaurant, an art gallery, offices and even a clinic. 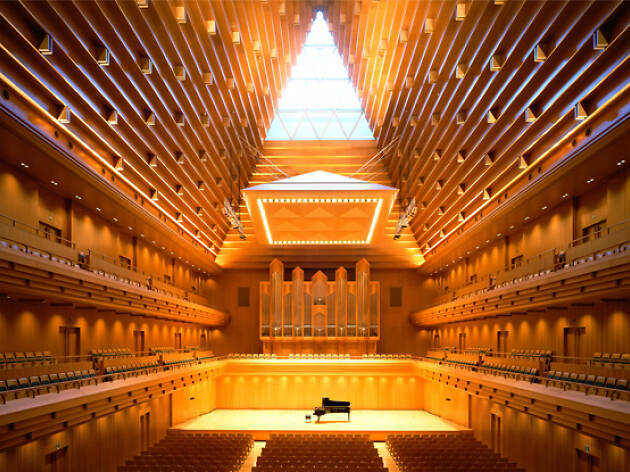 The concert hall, which opened in October 1997, is completely mantled in European oak – a wood well known for its superior acoustic qualities – and includes skylights to bring in natural light. The total seating capacity of the hall, which includes a ground floor and two balcony floors, is 1,632 seats.